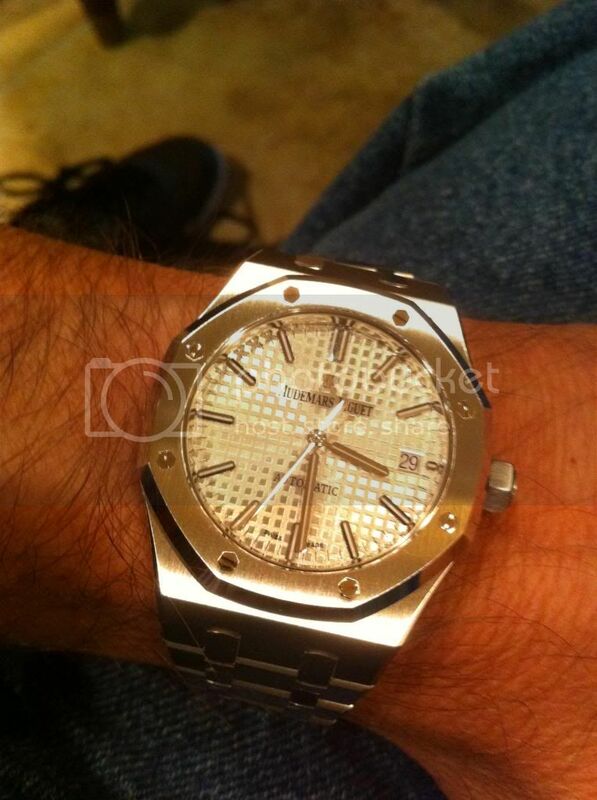 TimeZone : Audemars Piguet » I just joined the club! And I could not be happier. Just received the watch a Royal Oak 15450. 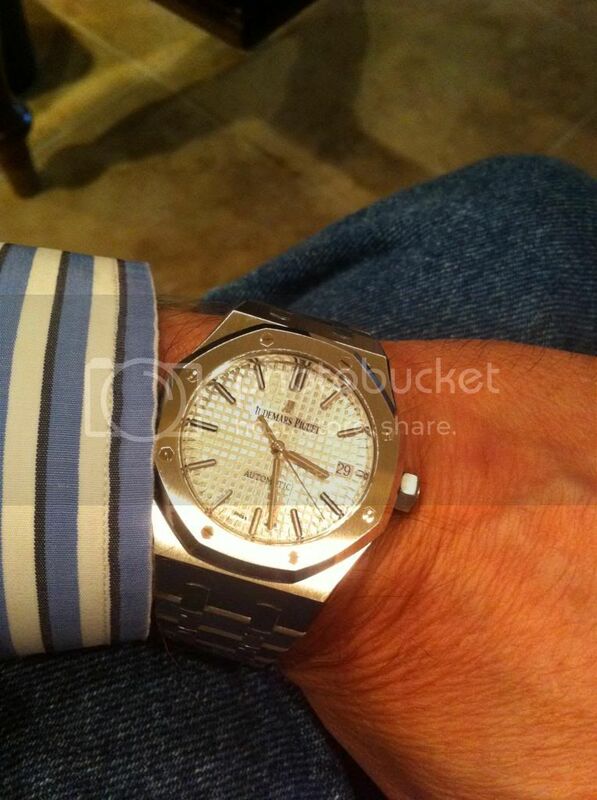 I have been lusting after the Royal Oak for a number of years. I opted for the 15450 since as you all know they bumped the size when the 15400 came out. I had only tried on the 15300 a couple of years ago which I thought fit me well. My wimpy sized wrist is only a 6.75 and other than my Seiko divers I don't have wear any watches larger than 41mm. Depending on the shape a 41mm will look large on me. Up to now my sport watches were 40mm and my dress watches were 34mm - 38mm with my JLC M8D being the sole exception. I think the 15450 fits me great out of the box. Amazingly I don't even think the bracelet needs to be adjusted. They must make the bracelet a smaller length on the 15450 than the 15300/15400. The details contained in the fine finishing of the watch, the quality of the workmanship, the dial and the unbelievable sight of the Caliber 3120 with its 22k rotor displayed through the back is just sublime. The watch is an eye catcher. The dial, case, and bracelet just pops which is another reason I am glad I got the 37mm. Yet somehow the watch is still subdued while retaining complete elegance. Here are some cheezy cell phone wrist shots. I think it fits me good. Previous Topic: Oh no! I got another diver..